Mad Dog Justice was selected as a Thriller & Suspense finalist in Foreword Reviews’ prestigious 2014 INDIEFAB Book of the Year Awards! Roddy Dolan, a surgeon, and Danny Burns, an accountant, are being hunted as prey. Someone is after them—with lethal intentions—but they don’t know who or why. Whoever it is, and for whatever reason, they and their families are in the crosshairs of killers. Everything they know is unravelling. They must hide, send their families away, abandon their homes, and leave their lives behind. The jaws of the vise grow tighter as the hunters close in. Roddy and Danny are not sure they can even trust each other. The police are not helping. In fact, they’re asking all the wrong questions. The second book in the Mad Dog series, Mad Dog Justice is a harrowing tale of friendship, morality, betrayal, and dire consequences. 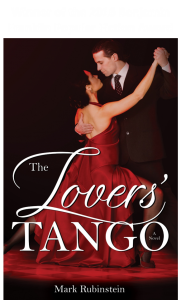 From the tense opening chapter to the frenzied climax, the novel keeps you turning pages and guessing what will happen next. At what point do obligations to one’s family take precedence over those to a friend? Is Danny Burns a more moral man than Roddy Dolan? Why or why not? What character flaws are evident in each man? What role do flaws have in making a fictional character interesting? What is the role of greed in this novel, and what role does it play in the world? What would you have done if you found yourself in Roddy and Danny’s situation? Other than in self-defense, is murder ever justified? If so, describe such a situation. Do you have a good friend in whom you can place infinite trust, no matter what? How far would you go to protect that friend, and yourself, if faced with a legal dilemma? 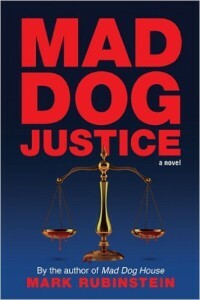 What do you think of the ending of Mad Dog Justice? Are there circumstances when it’s reasonable for a husband or wife to keep secrets from a spouse?